I have a fun little DIY today that’s perfect for the children in your life. 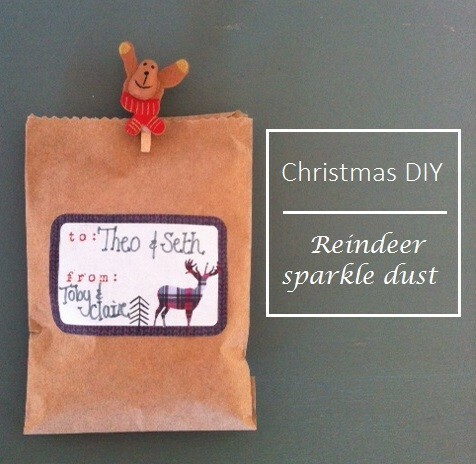 Mr P and I don’t have children just yet and so I’ve been making this reindeer sparkle dust for friends who have children and also my neices and nephews. The idea is to give the children a little pack of reindeer sparkle dust that they can sprinkle on their lawn or driveway on Christmas eve in order to help Santa’s reindeer find their way to your house. It’s a fun little tradition to make with your children and one that I will definitely do when my own come along. 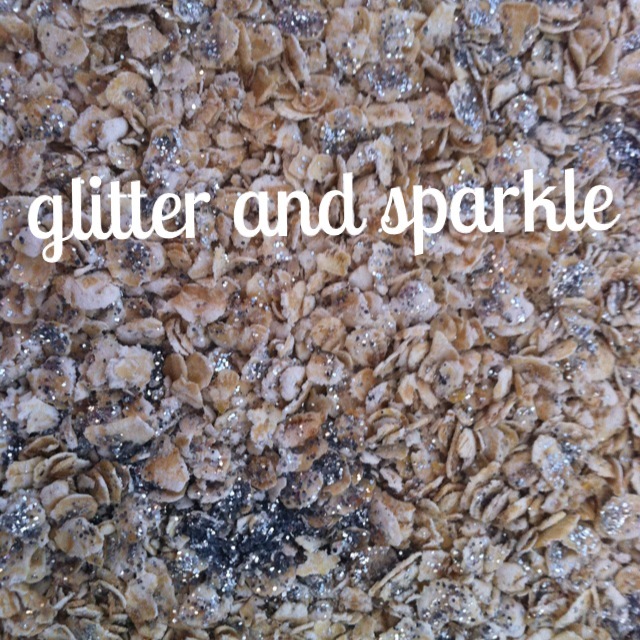 Pour glitter in a colour of your choice into the oats and stir in well. 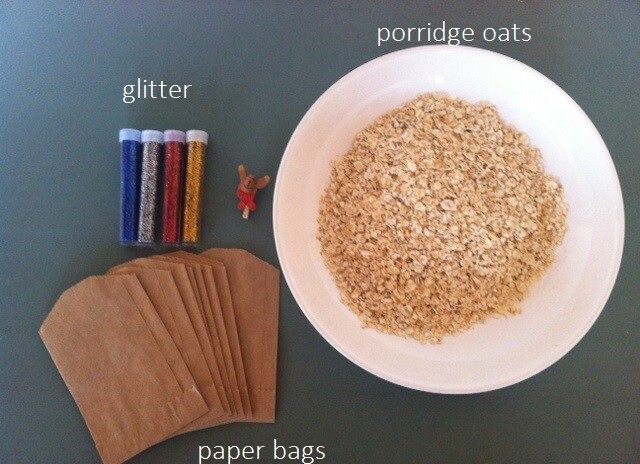 Once happy with the amount of glitter in the oats, put the reindeer dust into brown paper bags and decorate for the children. I used a simple sticker for the front of mine and wrote instructions on how to use the dust on the back. I secured the bag with a small reindeer peg. You could print off labels and decorate with string or washi tape if you prefer. This is such a simple DIY that takes all of 10 minutes to make. 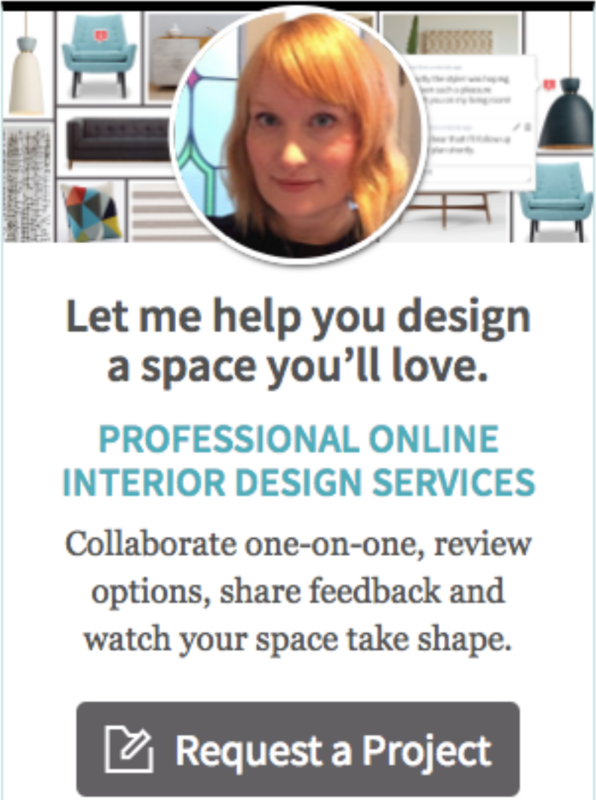 If you give it a try I’d love to know how it goes – leave me a comment or link to your blog in the comments section below.